Recent NewsHome » Recent News » Tuesday Market » Tuesday Market opens this week! Tuesday Market opens this week! 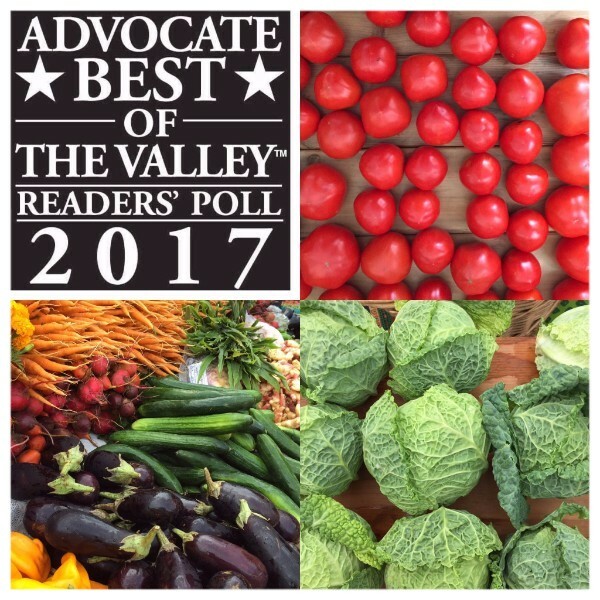 We’re honored to have been voted Best Farmers’ Market by the Valley Advocate’s readers! The Valley’s favorite farmers’ market opens for the season this Tuesday, April 25th. Make Tuesday Market part of your weekly routine–to grocery shop, visit friends, delight your senses, and to take a break from your day! We’ll be there for you every Tuesday from 1:30-6:30pm until November! As they say, April showers bring May flowers! 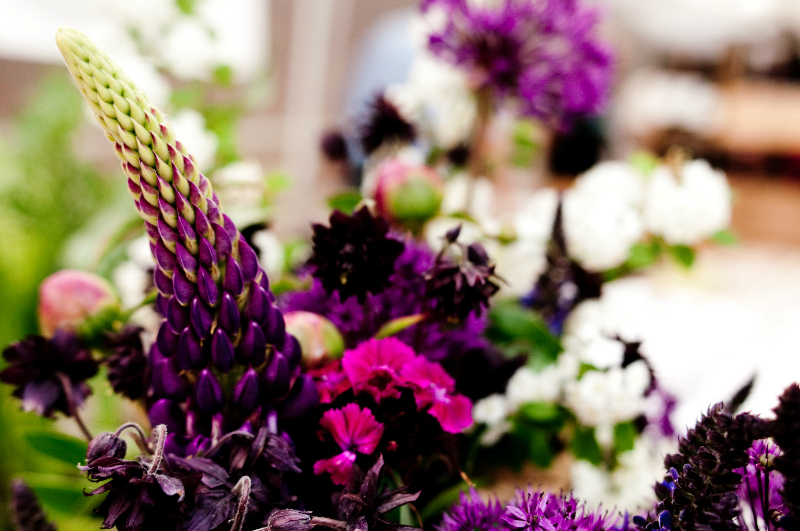 And if you come to the first Tuesday Market of the year this week, you’re likely to find some April flowers as well. As always, your hardy farmers will be setting up rain or shine! As you stroll the market, you’ll find vegetables and spring greens, cheese, honey, maple, granola, breads, tea, ghee, tinctures, eggs, meat, spices, mushrooms, and so much MORE! Beets & Barley will have hot drinks for opening day and the cooler weeks of spring! 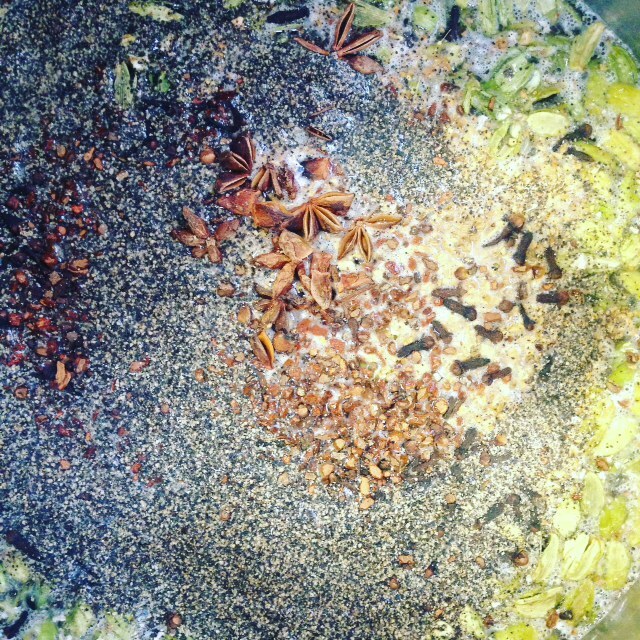 Stop by for a spicy chai tea (pictured), either caffeinated or herbal, or a fair trade organic coffee. They’ll also have their usual assortment of gluten free prepared food and baked goods, chock full of local ingredients. Still hungry? Cricket Creek Farm will be making grilled cheese sandwiches with their own cheese. And Laughing Tomato will be cranking out pizzas! This week’s Specialty Pie is Garlicky Shrimp (roasted garlic spread, mozzarella, manchego cheese, shrimp with fresh garlic, lemon, parsley, and red pepper flakes). 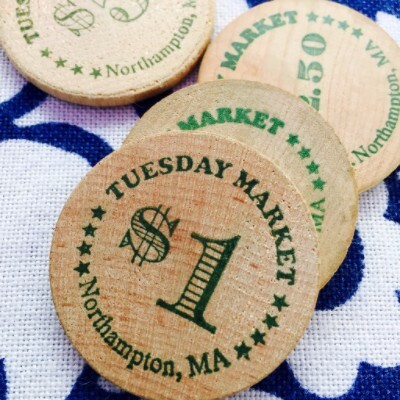 Tuesday Market accepts SNAP benefits and will be matching SNAP purchases up to $10 for the first 6 markets of the season. During those 6 weeks, Grow Food Northampton and Tuesday Market will work to educate SNAP customers about the new Healthy Incentives Program (HIP) and how to best utilize it. HIP is a three-year program which will match SNAP recipients’ purchases of local fruits and vegetables at participating farmers’ markets, mobile markets, farms stands, and CSAs. The HIP benefit will provide $40-$80 per month to SNAP users, depending on household size. Customers can learn more about this exciting new local food benefit by stopping by the purple market tent at Tuesday Market or by clicking HERE. Valley Gives Day is May 2. Please consider a gift to Grow Food Northampton to support Grow Food Northampton’s many Food Access Programs including SNAP matching at Tuesday Market. Design our Tuesday Market Poster Image! First Market April 26th and Last Days to Contribute to SNAP&Save Campaign! previous post: Tuesday Market opens this month!! !